mod MOVERS offers an array of moving services from packing to full service local and out of town moves. Click below or give us a call to get a quote for our services. 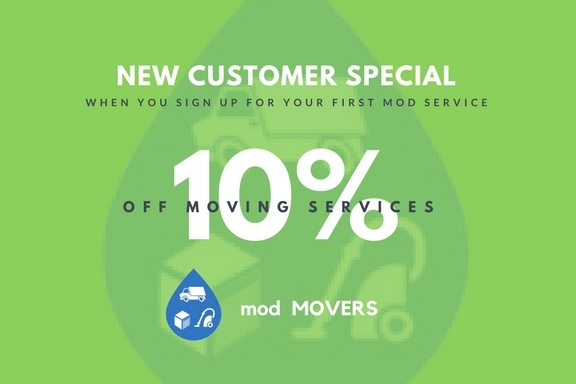 mod MOVERS covers the entire state of California. Call now for more information on how mod MOVERS can package a plan that will save you the most money! Mod MOVERS offers both local and intrastate moving services, with a variety of options you can choose from. Whether you need help with a little or a lot with your upcoming move, our efficient staff will take some of the stress off of you! If you won't be moving to your new home right away, ask how mod MOVERS can save you money when you bundle moving and storage services together. Bottom Line Pricing: Your final quote is our guaranteed price! We're ready to be your resource for moving in Monterey and all of California. Contact us today and we'll help you plan and carry out your move as efficiently as possible. Mod MOVERS will handle your move from start to finish. This means that our experienced professionals will pack your household items and personal possessions, load them into the moving truck, drive the vehicle to your final destination, unload your belongings, take them to their rightful places in your new home, and even reassemble furniture and dispose of the packing materials if you wish. Full-Service Packing: Sit back and supervise while we do the packing! Fragile Only Packing: With years of packing and moving experience, we know how to get fragile items safely from Point A to Point B! Do It YourSelf Pack: We offer helpful packing tips and can also help you arrange all the boxes, packing materials and other moving supplies you might need.